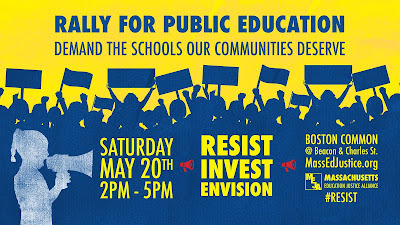 On May 20, thousands of Massachusetts students, parents, and educators will rally at Boston Common in support of public education. As a mother of a first grader and a member of the Somerville School Committee, I look forward to taking part in this important demonstration to advocate for equitable access to quality education for all students, and to emphasize the need for less testing and more learning. Because these fundamental values of access, high quality, and a commitment to real learning are fully supported by our city's Mayor and Board of Aldermen, Somerville has been extremely fortunate to have avoided funding cuts to education in our city in recent years. We have even steadily increased our funding for our schools and have made many significant gains as a result. Yet we still struggle with an unfair and outdated education funding formula from the state that disadvantages urban districts that are often unable to rely on tax increases to make up the difference. Adequate funding makes possible things like smaller class sizes, critical school-based counselors for struggling students, and excellent health and wellness opportunities in our schools. This is especially important for low-income children who don’t have access to many necessary supports outside of school. We cannot prepare our young people for personal and professional success through our public education system while simultaneously crippling that same system with a lack of funds and resources. 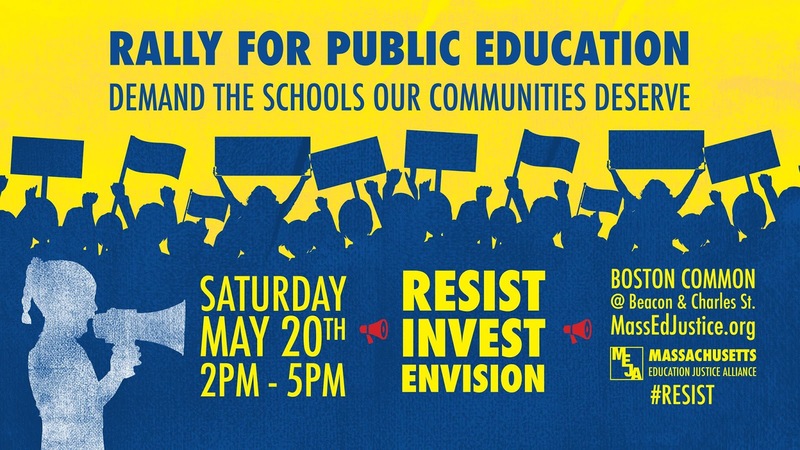 I hope you will join me on May 20 to make your voice heard in support of public education, in support of Somerville’s schools, and in support of our youth.